Travel the world this summer at the Alvin Sherman Library. On Sunday, June 12th our Public Library Services team kicks-off the summer rewards reading program with an Island Hopping adventure! Remember, Summer Reading equals rewards (prizes)! Your entire family can join us this summer as we have programming for adults, teens, tweens and children. Take a Journey this summer and learn and have fun. Best of all, there is no charge for any of our programs or events. What will you read this summer? GoodReads is an easy way to keep yourself informed about the latest "Top Reads". 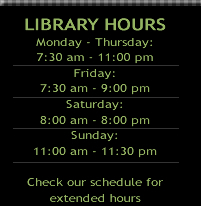 There's listings of books for adults, teens and children. You can also sign up for the GoodReads newsletter so you never miss out on new titles! Happy Reading! An Island Hopping Summer Reading Kick-Off Event! South Florida Parenting helps the Alvin Sherman Library kick-off its summer with a fun Island Hopping adventure. Limbo Contest with Prizes,Hula Contest, Polynesian Lei Craft and Proud Show. Explore the best kept secret for free summer fun at the Sherman Library! Your library card is your passport to adventure around the world this summer! Sign up today and win prizes for reading all summer long! June 18: Swami Salami & Professor O Puppet Show! Duck in a Truck’s puppet show is guaranteed to quack you up! 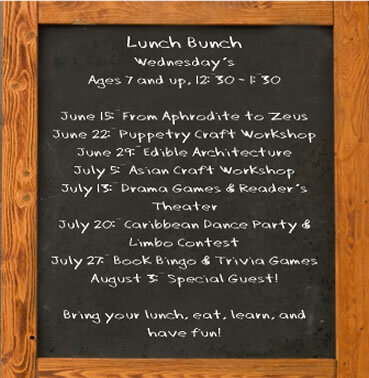 June 25: Aesop’s Tortoise and the Hare Puppet Show! Professional puppeteer Bob Nathanson entertains audience with this classic children’s tale. June 14: Millennia the Muse's Greek Myths & Masks Calling all Percy Jackson fans! Meet Millennia the Muse and learn about Zeus, Aphrodite, Medusa, and the Gods of Olympus. Make a mask and more! With Professional Puppeteers Bob and Elise Nathanson. Take home a shadow puppet kit! Cook and Eat! This session has limited space pre-register in person or call 954-262-5477. Puppetry Isn’t Just for Kids with Puppets to Go. June 29 4-6pm Draw! Drawing Caricatures with artist Wendy Reingold. Books can whisk you away to a different place or time. Discover new places and win prizes by participating in the 2011 Summer Adult Reading Program Novel Destinations. Sabah Raja takes you on a journey into the world of Indian henna tattooing. She’ll share henna traditions and different application techniques. Discover titles similar to books you already enjoy or explore new genres using the database, Fiction Connection. 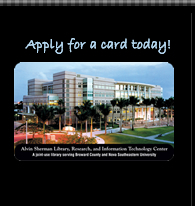 An Alvin Sherman Library card is required to view the database. Sunday, June 5 12pm-4pm Stories To Be told – Ancestral ResearchThe Genealogical Society of Broward County (GSBC) members and guests present a program on stories on ancestral research. Learn about the research, tools and techniques it took to find the family stories and perhaps see a few old photos of family members. The Genealogical Society of Broward County's monthly meeting is held at the Alvin Sherman Library.The program begins at 2:30 pm after the GSBC open lab (12-2 pm) and the Genealogical Society of Broward County business meeting (which begins at 2 pm).